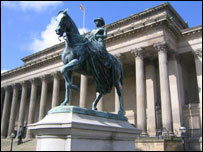 Liverpool is the worst-performing council in England, according to a report by the Audit Commission. Europe's Capital of Culture was one of only two councils to achieve one star in the performance assessment, a fall from two stars last year. 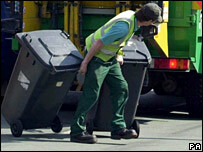 The commission looked at performance across a range of services such as education, housing and recycling. Elsewhere, Sefton jumped from two stars to join Cheshire, St Helens, Halton and Warrington in the four star category. Some 55 local authorities achieved the top four-star rating, 68 got three stars and 23 received two stars. There were no zero star authorities. Despite their low scores, the Audit Commission said Liverpool City Council and Rutland still performed well in some areas. Spokesman Gareth Davies said: "Neither of those councils is in our bottom category of zero stars - and in both cases there are some strengths in their service provision. "Liverpool, for example, has made good progress on educational attainment which is clearly a crucial area. "But there are serious problems at Liverpool, particularly on financial management at the moment, and that's the reason why they are where they are today." But the authority said the assessment was "misleading". Budget pressures from the current Capital of Culture celebrations are partly to blame for the low assessment, it said. Phil Halsall, finance director, said: "The services that we deliver, the ones that matter to the people of liverpool, we believe we deliver as well as anybody else in the country. "Our record in education is fantastic. We now get twice as many children to five or more GCSE passes than we used to 10 years ago." The city council is appointing external advisors to help improve its performance.